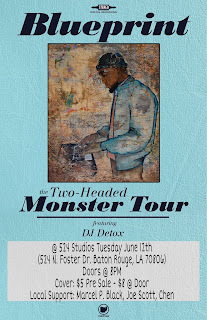 Ohio legendary emcee/producer/author/filmaker Blueprint brings his "Two Headed Monster Tour" to Baton Rouge to promote his new album of the same name Tuesday June 12th. 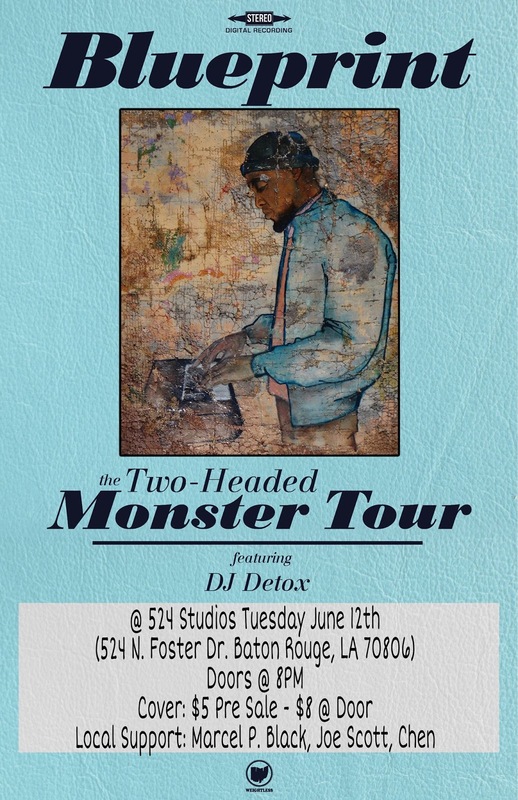 Local support provided by Baton Rouge's own Marcel P. Black, Joe Scott, & Chen, with sounds by DJ Detox. 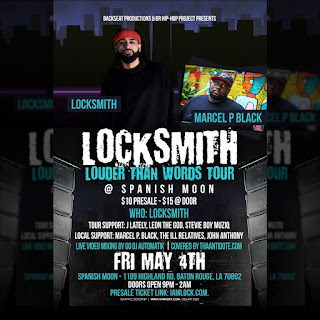 Doors open at 8, show starts at 8:45. $5 presales, $8 at the door. 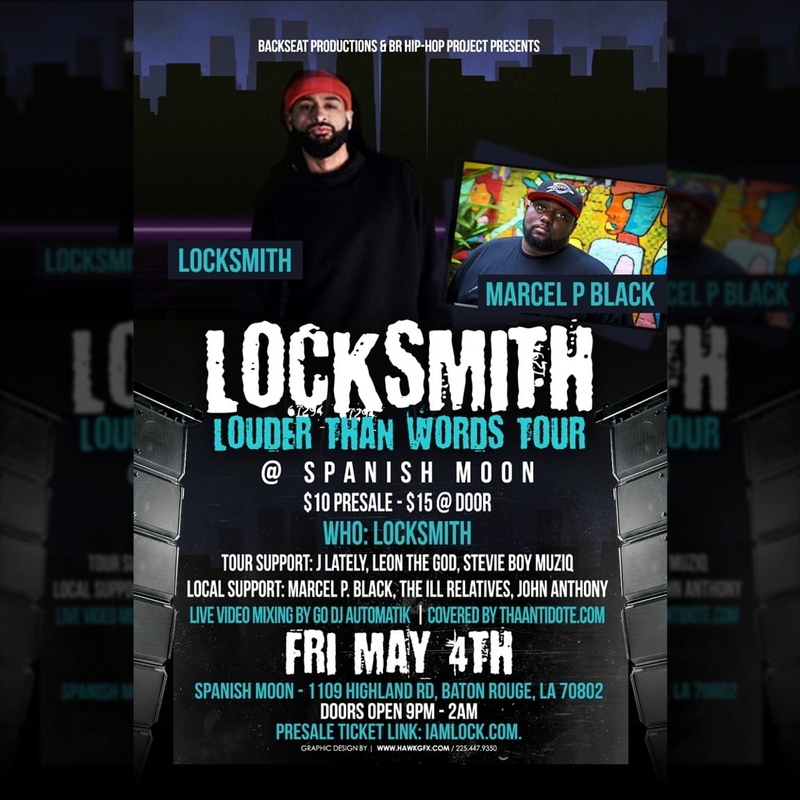 Bay Area Veteran emcee Locksmith invades Baton Rouge for the first time ever on his upcoming "Louder Than Words" Tour featuing J. Lately & Leon The God, with local support from Marcel P. Black, John Anthony, & The Ill Relatives. Live video mixing by Go DJ Automatik.